Some time ago, Hugh the Neighbour and I tried some beers from the Weihenstephan brewery, which advertises itself as "the world's oldest brewery”. On that occasion, we tried the dunkel and the kristall. Both were quite enjoyable. This time though, we lined up for the hefe weissbier and the pils, the weather of late being a bit too much on the warm side to be looking for darker beers like the dunkel. Oddly enough, the reason I selected these particular beers from the wide variety available at our local Chapel of St Daniels has nothing to do with either price or quality. No, these were selected because HTN has a set of 500ml beer glasses designed for drinking the output of the Weihenstephan brewery. We could hardly let a good set of glasses go untested, so last Sunday we lined up for a tasting. First the pils. This is a very traditional pilsner, with a nice balance of hops and malts that deliver a slightly floral undertone without ever becoming challenging. There is an underlying sweetness typical of the style. It pours a clear golden colour in the glass and develops a frothy white head, which is maintained as you work your way through. The hefe weissbier is cut from a very different cloth. Cloudy and yeasty with the tartness you would expect from a weissbier, you get a spicy whack of clove aroma and taste as soon as you get it in the mouth. 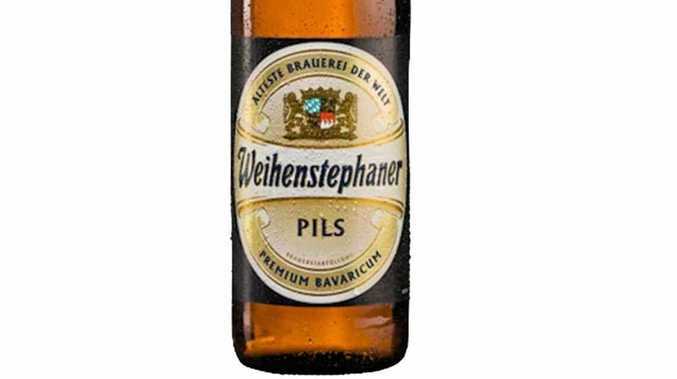 It is pleasantly different, although if cloves are not your thing, stick to the pils. These are both eminently drinkable if you want to try something a bit different.